Stone and Tops Ltd is a Auckland benchtop manufactur­ing company specializi­ng in top quality kitchen benchtops, vanities, splashback­s and islands. The lead time is 3-5days after the acceptance of quotation and templeting­. 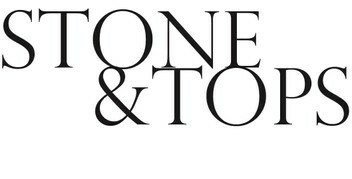 Stone and Tops Ltd (www.stoneandtops.co.nz) is a Auckland benchtop manufacturing company specializing in top quality kitchen benchtops, bathroom vanities, splashbacks and islands. We have a wide range of Granite, Marble and Engineered Stone such as CaesarStone, Silestone and Ossa Stone. Since we directly import the most common colours of engineered stone, we are able to offer you affordable prices on those colours without compromising on the quality of stone. The company equipped with advanced cutting machine and experienced staff, which we can make sure every piece of our work is unique,We are committed to give you the best professional advice and quality service. Contact us now by phone, email along with your requirements for an obligation-free quote. SALES@STONEANDTOPS.CO.NZ. or come to visit our showroom at 4/13 Industry Road, Penrose, Auckland. Great to deal with, well priced, and delivered on time. Thanks. Dealing with this team was very easy and stress free. Even when we had a hiccup which meant at the last minute meant we needed to reschedule them, Michael and his team were extremely accommodating. Thank you guys, Highly recommended! Couldn't be happier! Jane, Michael and the to installers were the nicest people, fast and clear communication and flawless execution. Their OSSA Stone brand is no different then other engineered stone brands, just "a lot" cheaper! Thanks guys and all the best for the future! A+++ Excellent company. Friendly, professional and one of the best communicators I've dealt with. Highly recommend Stone and Tops Ltd. Super fast turn around and excellent installation and all round service was flawless. AAA+++ trader... needed my bench top quicker than standard, and had it done. Good price and good quality! Thank you for your service!!! Excellent trader. Supplied and installed stone at the lowest price in the market but the quality of stone and workmanship was excellent. Expert! Installed on time as promised. Extremely happy with the job and the service. Recommend to everyone.